Liquid Temperature: 180 Degree Fahrenheit ( 82 Degree Centigrade ) Max. 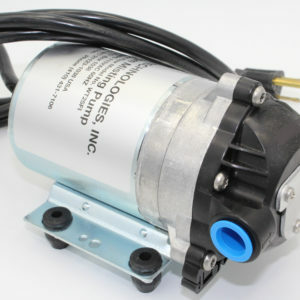 Misting system pumps for low pressure misting systems. A 45-125 PSI misting system pump matched with the appropriate nozzle can produce a very fine mist with droplets in the 30-100 micron range. This is fine enough for most cooling and/or humidification applications. 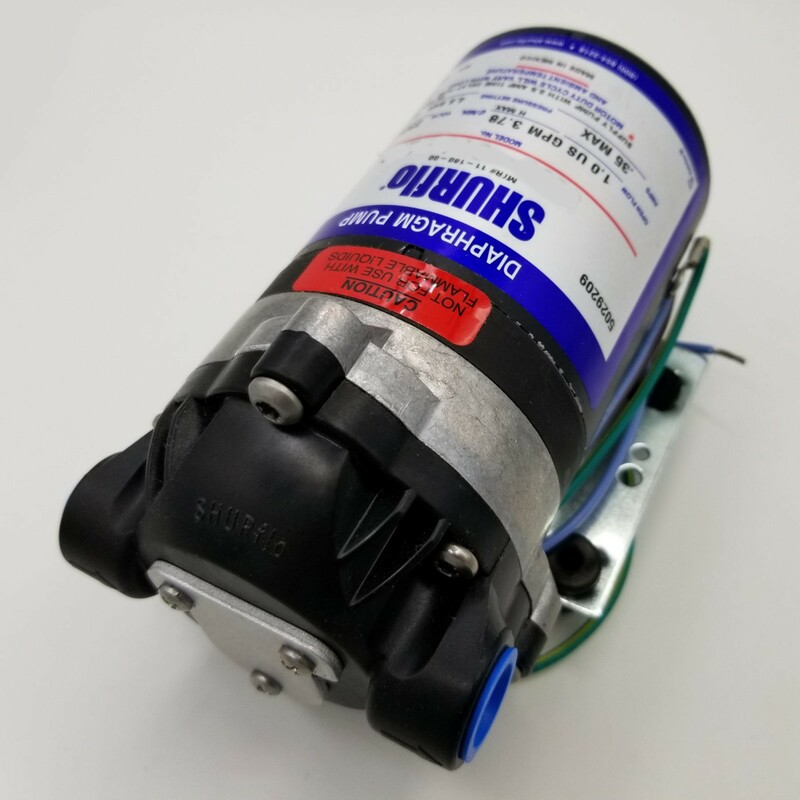 High pressure pumps can be found in our fog pump section with operating pressures up to 1000 PSI. High pressure systems are more expensive and require maintenance, so its normally best to choose the lowest pressure pump and nozzle that can accomplish the task at hand. Misting system pumps can be outfitted with a variety and inlet and outlet fittings including hose barbed, and “push to connect”. Feel free to contact us if you need assistance outfitting your pump with the appropriate nozzles and fittings.